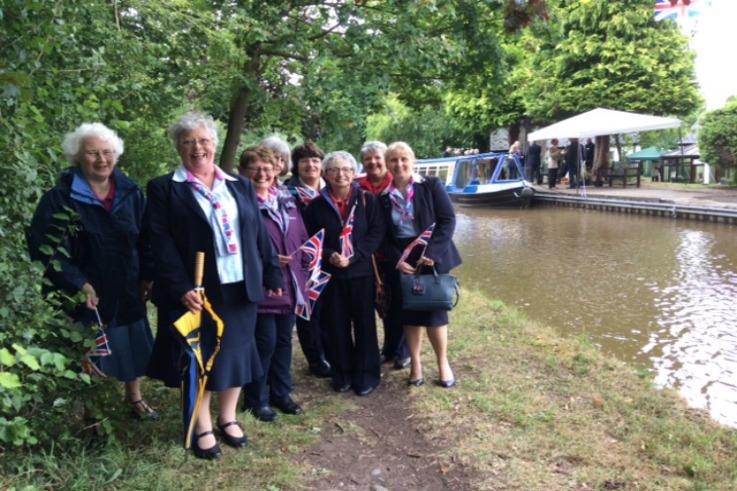 Volunteers from across Shropshire braved the weather to join Princess Alexandra at the Lyneal Trust for the naming of their new day-trip boat. The narrowboat, which has been purpose-built to be used for taking those with disabilities out on the canal, has been named The Shropshire Lady and volunteers are hoping that more people will be able to make use of the canal and it’s boats for holidays and trips in the future. The Lyneal Trust is located just a short walk away from our county’s residential centre and the trust are happy to arrange for guiding groups to have a canal boat trip as part of their stay. More information about the residential centre and how to book can be found here.